Also, the standard H3 lamps are 50 watts a piece. 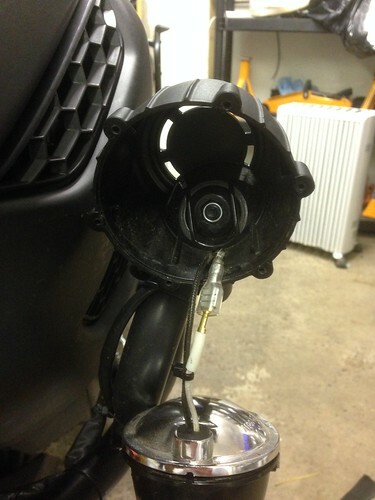 By the way, inside a Givi Trekker light there is nothing other than the bulb (no control gear etc.). Good light output and will save a bit of strain on the alternator. Excellent! When I was looking for lights I dismissed the Trekkers because of the many reports of bulbs blowing within weeks and being expensive to replace. Though that particular LED type is not in my opinion any good for a headlamp because an incandescent headlamp bulb has a small light source that the reflector is optimised for. That replacement has a loads of points of light nothing like a headlamp bulb, but for a DRL no problem, in fact a more scattered beam is just the job. An update on this conversion. Both lamps stopped working, on investigation the fuse had blown. 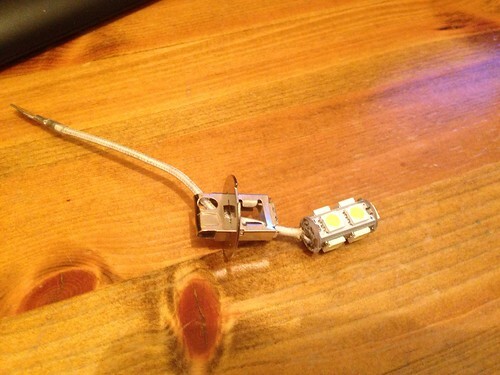 The reason for that is the body of one of the LEDs had detached from the lamp and shorted. To give these the benefit of the doubt I have ordered two more, we will see if they are up to the job. A further update to this.. These lamps are NOT suitable, they fall apart way too easily. I broke two whilst trying to install them. I've found a supplier of the original bulbs at a reasonable price now. It was worth a go. I think Preload had similar problems with LED bulbs and he fixed it by re soldering the connections. Used lots of the stuff. 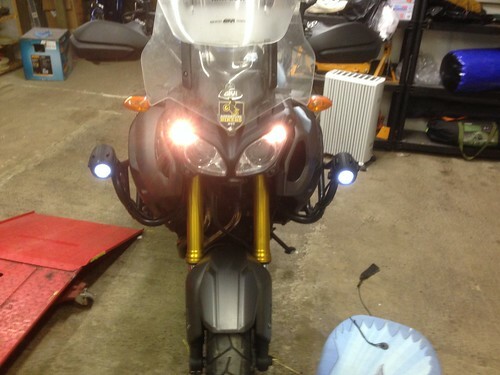 I've fitted a set of Givi Trekker lamps to my F650GS. 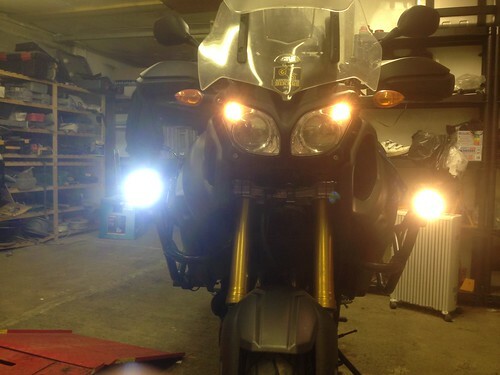 The original 55W bulbs ran the battery down making it hard work to start the bike the next day, so I fitted LEDs. The funny thing about the bulb fitting in these lamps is that they are fitted at 90 degrees to the reflector and not the normal inline way. I found the LEDs had a blind spot as you looked at the lamp directly and the beam pattern was had a large dark portion in the centre when projected onto a wall. My solution has been to fit 35W H3 bulbs. I hope the lower Wattage will give the battery more of a chance. I fail to understand why folk say these bulbs are expensive? 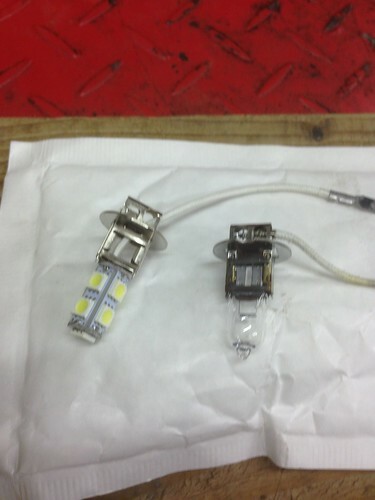 They are standard H3 halogen bulbs with a flying lead and can be bought at almost every motor factors. These are the bulbs I bought.